This is a round Purity Ice Cream porcelain sign. This particular Purity Ice Cream sign is red and blue with white and yellow text. 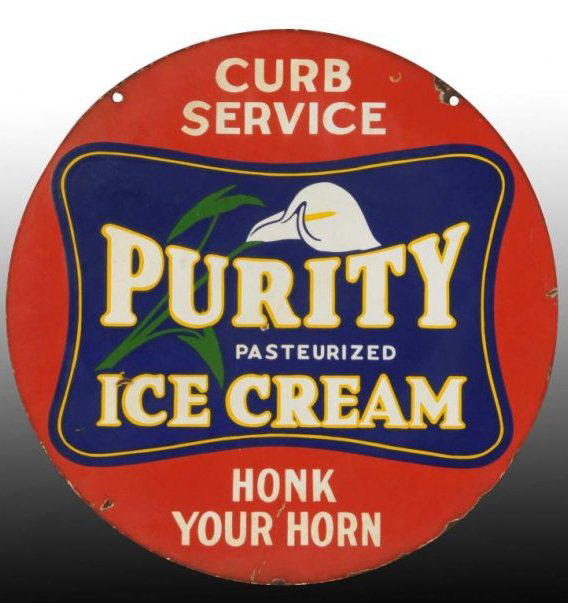 It reads, “Purity Pasteurized Ice Cream, Curb Service, Honk Your Horn” and features a white flower in the center of the sign.